A hot beverage and a beautiful moment with nature, what a way to start the day! 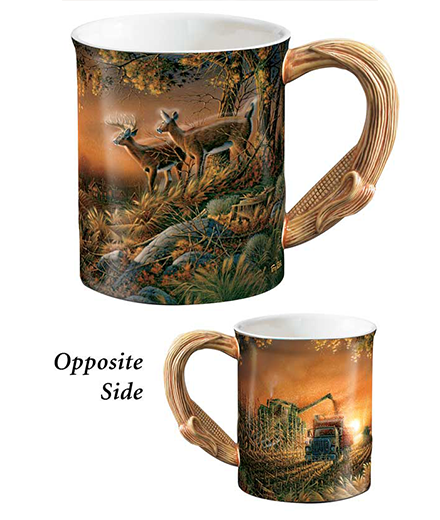 Unique sculpted handles and bas relief Terry Redlin images make these generously-sized 16 oz. mugs a sure winner on everyone's gift list. Copyright 2016 South Dakota Baskets Unlimited. All Rights Reserved.